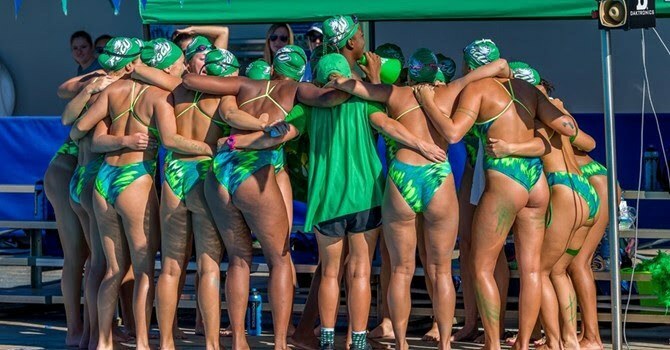 FGCU won six of Friday’s nine events, starting with a 1-3 finish in the 200 medley relay. The team of Doris Eichhorn, Petra Halmai, Gracie Redding, and Hannah Burdge took first, going 1:44.98, handily ahead of Rutgers‘ 1:46.44. Rutgers sophomore Alex Fabugais-Inaba took first in the 1650 with a 17:33.98, followed by FGCU sophomore Liz Zeiger in 17:38.05. Fabugais-Inaba also won the 200 free in 1:52.35, followed by Hannah Burge in 1:53.28. Rutgers‘ other wins for the day came from Francesca Stoppa in the 200 fly (2:01.48), where she bested FGCU‘s Christina Elmgreen, who went 2:01.60. FGCU closed the first session by topping the 400 free relay with the team of Yee Ching Wong, Gracie Redding, Rebecca Moynihan, and Hannah Burdge, who went 3:26.67 to best Rutgers‘ second-place 3:29.93. Day two will begin at 11 a.m. on Saturday.